The journey of Long Eng Sdn Bhd (瀧運商號)) began way back in the 1970s and it has continued flourishing in the local market and also is now known as the agent and distributor for East Malaysia supplying cave bird nest to a network of suppliers in Peninsular Malaysia. As he dealt directly with the source, Mr Eng had the advantage of offering premium-quality bird nest at competitive prices. 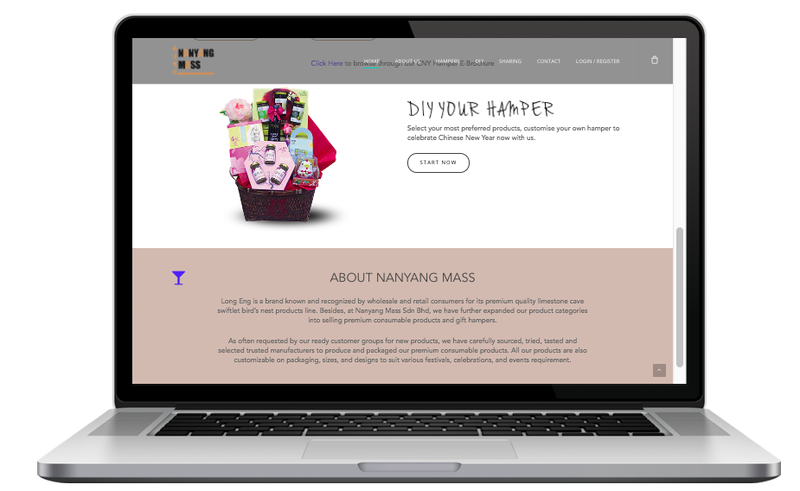 In year 2017, the company then officially expanded into subsidiaries Nanyang Mass Sdn Bhd （南洋商號) , targeting the market needs on premium souvenir and top quality gift hamper services including providing customized packaging, branding designs, and OEM of products for their clientele network.